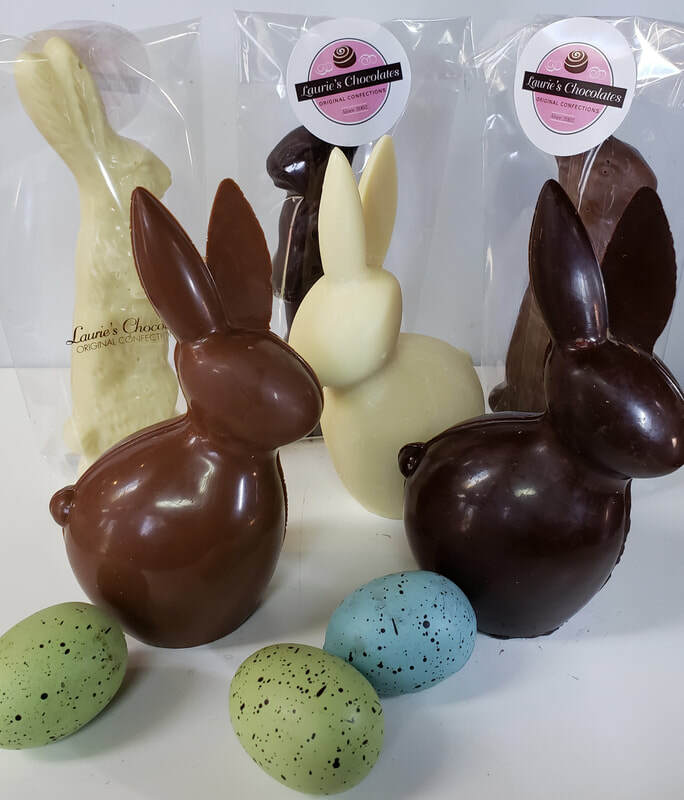 These Curvy Bunnies in milk, dark or white chocolate are over a half pound of solid pure chocolate! Details and ordering here. The words at the top of the page were that of a 5-year-old uttered after tasting one of our truffles. 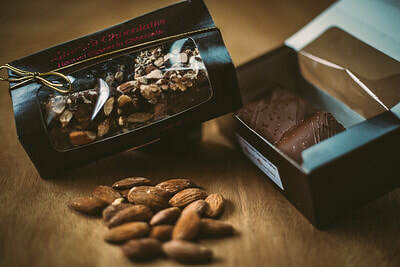 They remain the experience we wish for you when you bite into one of our handcrafted confections, whether it's our mouthwatering Truffles, Toffee, Barks or our Hot Cocoas. 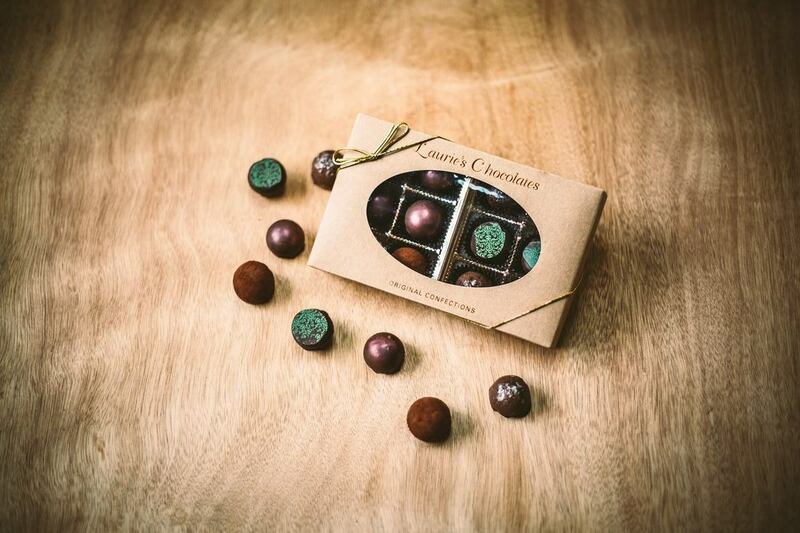 Crafted from Pure Artisan Chocolate and Fresh Centers, our Award-Winning Chocolates are made to order in small batches. Our Tavern Toffee (below) was recently crowned Gold Award for Best Texture (in the toffee world....texture is everything! ), Most Unique, and also received several Silvers and Bronzes at the International Chocolate Salon in San Francisco. Local ingredients in our candies include Beer, Wine, Honey, Coffee, Peanut Butter and Lavender. 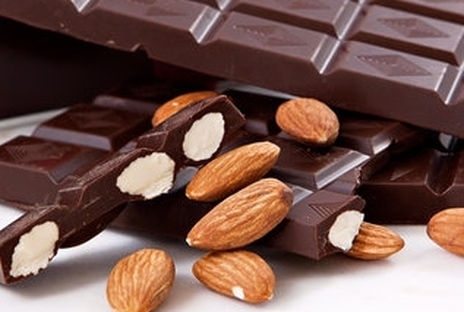 ​ We use chocolates that adhere to Fair Trade USA guidelines. Most are GMO Free. Toffee starts out with butter, sugar and vanilla and is cooked to achieve the perfect snap before being coated in delicious chocolate. Buttercrunch Toffee or Tavern Toffee make up our best selling product line. Rich, buttery caramels are hand dipped in either milk or dark chocolate and topped with a sprinkling of vanilla bean sea salt. Our truffle flavors change seasonally so we can incorporate the best, fresh ingredients, local whenever possible! Check back often to see what's new. 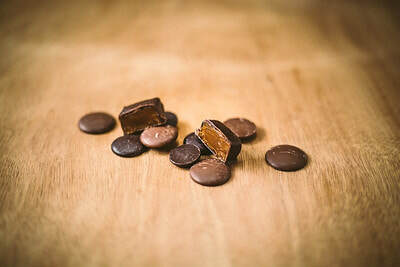 Barks are the best - combining excellent quality chocolate with your favorite crunchy items. Almonds, hazelnuts, spices & pumpkin seeds, and maybe even pop rocks for the 4th of July! Check back often to see what we are currently offering. 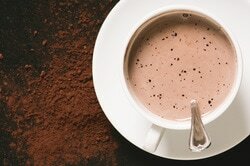 Special blends of different cocoa powders, cane sugar, spices and other fine ingredients, these Hot Cocoa Mixes are perfect for a cold winter's night. Each package makes approximately 6-9 mugs. Must be made with a milk product.